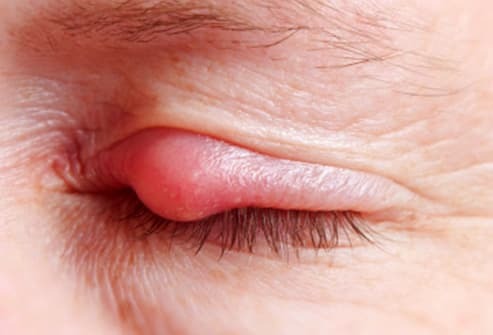 It’s a small, painful lump that can pop up inside or outside your eyelid. It may look like a pimple at the base of your eyelashes. 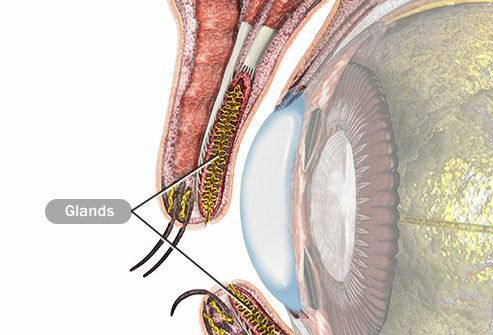 Styes under the eyelid may be less noticeable at first. But both can make your eyelid red, swollen, and tender to the touch. Your eye might feel scratchy and sore, too. It can be hard to tell, but there are differences. In general, a stye is infected and a chalazion is not. Infection can cause a small “pus spot” at the tip of a stye (shown here) that looks like a pimple. 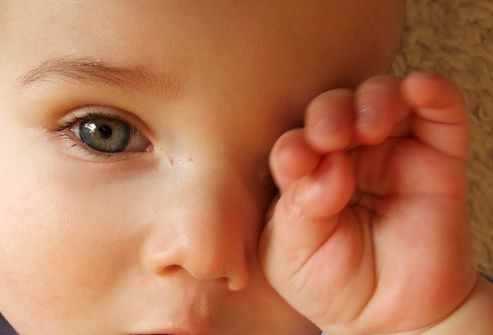 It can make your eye painful, crusty, scratchy, watery, and more sensitive to light. It may even make your whole eyelid swell. 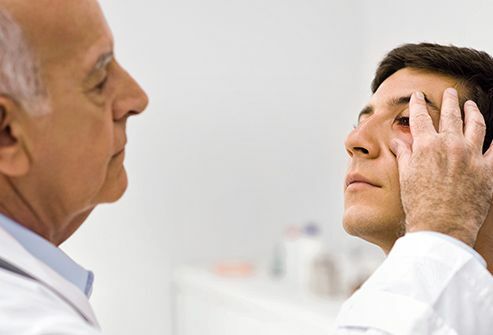 A chalazion usually doesn’t hurt and may make the eyelid swell early on. But you may not even notice it at first. 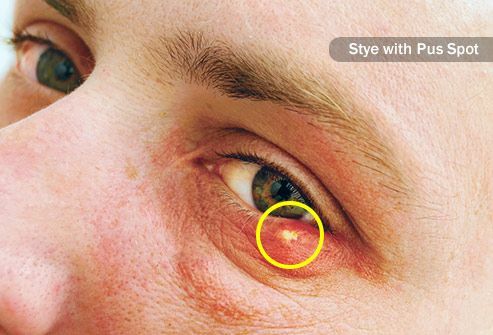 A stye can look very much like a pimple. That may tempt you to squeeze it until it pops. 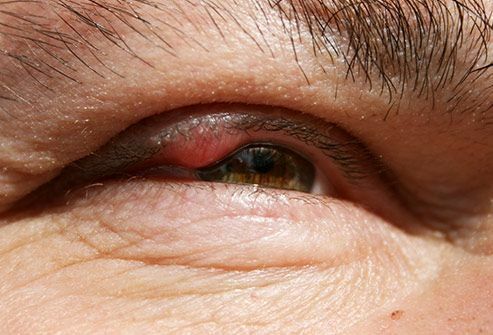 Don’t do it -- that can spread the infection to your eyelid. Just leave the area alone. Both styes and chalazia usually go away by themselves in a few days or weeks. 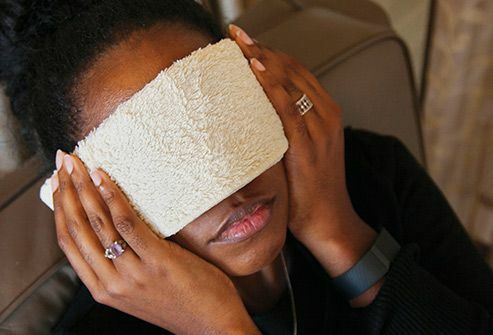 Soak a clean washcloth in hot water and put it on your eyelid for 10-15 minutes at a time, 3-5 times a day. This can help soften and unclog a chalazion or stye. If it’s a chalazion, you can gently massage the area (don’t squeeze it) with your finger to help it along. Just make sure your hands are clean. A daily warm compress also may help prevent styes or chalazia if you get them regularly. Your doctor can usually diagnose a stye or chalazion just by looking at your eye, sometimes under a light with magnification. If a stye is big and painful or hasn’t gotten smaller after 1-2 weeks, she may drain it. She’ll numb the area, then make a small cut to let the pus out. 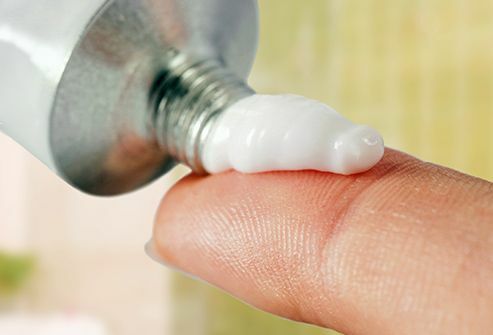 In some cases, doctors prescribe an antibiotic cream to put on a stye. If it’s a chalazion, you may get a steroid shot to ease some of the swelling. 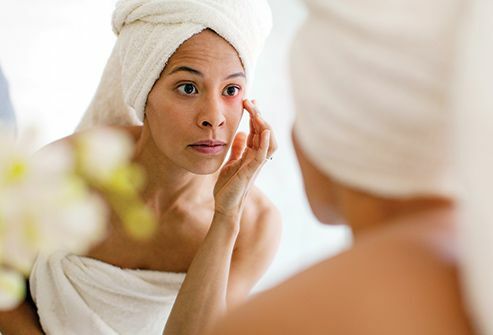 If you already have a stye or chalazion, take a break from your eyeliner, mascara, and other cosmetics until it heals. You can prevent them if you throw away old eye makeup. It’s best to replace it about every 6 months and not to share it with other people. 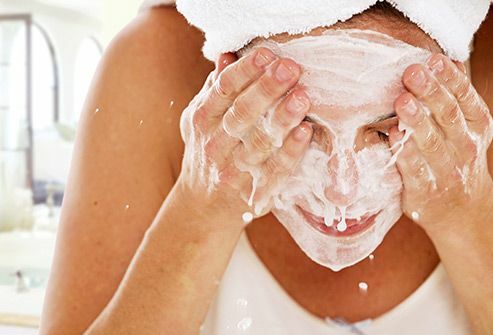 Also, wash it off each night before you go to bed so it won’t block your pores and hair follicles. If you wear them, make sure they’re clean. Your doctor can tell you the best way to disinfect them. It’s also important to wash your hands thoroughly before each time you handle them. 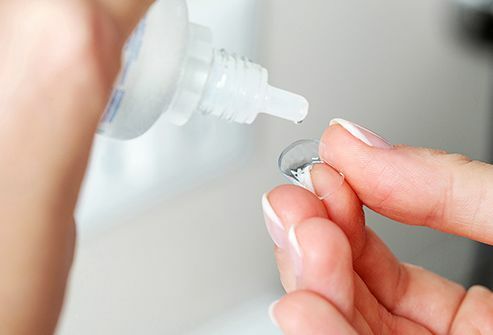 Try not to wear your contacts while you have a stye or a chalazion.